Little known and fairly new developer Semaphore have recently shed light on their debut episodic series, Unearthed; which also has a multiplayer Facebook title to go along with the single player story. 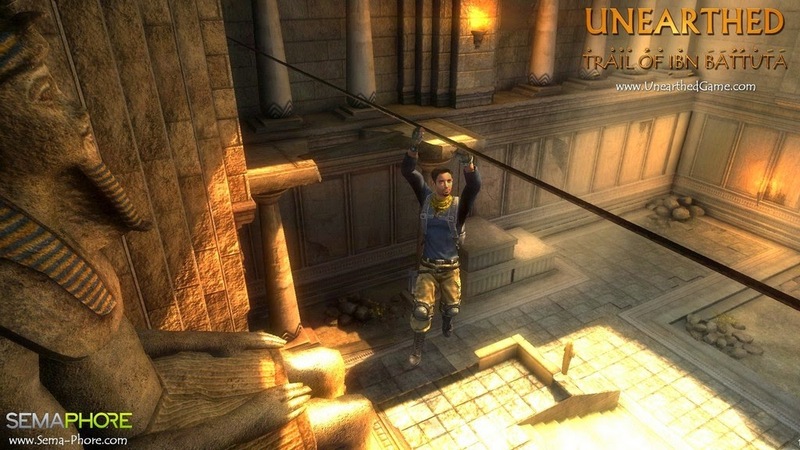 Unearthed - Trail of Ibn Battuta is akin in gameplay to titles such as Uncharted and Tomb Raider, with an Arabic front man and setting. Needless to be said, this little indie adventure has been being dragged through the mud and across hot coals as far as reviews are concerned. Is the content really that awful? With people in the Steam forums and review section spouting off that Unearthed - Trail of Ibn Battuta is "the worst game" that they've ever played, it's easy to pre-formulate an opinion. Being an ex-gamerscore connoisseur from the early Xbox 360 days (before you ask, around 115,000 points before I moved exclusively to PC), I have personally played my fair share of excruciatingly terrible titles; maybe that's why this particular game doesn't seem horrendous. Sure, the controls are clunky and a little tricky to get used to, but this is still the first installment from a brand new indie developer. The controls can best be related to that of the very first few Tomb Raider games, but with less buttons. Being the first installment of a yet unnumbered episodic series, the storyline doesn't have much room to unravel. The little bit of back story that the gamer is entitled to isn't very coherent, nor very interesting. The game begins at a very crucial moment in the present day, before jumping back a few months in time to spin the tale of how the main character, Faris Jawad, ended up in such a poor state. 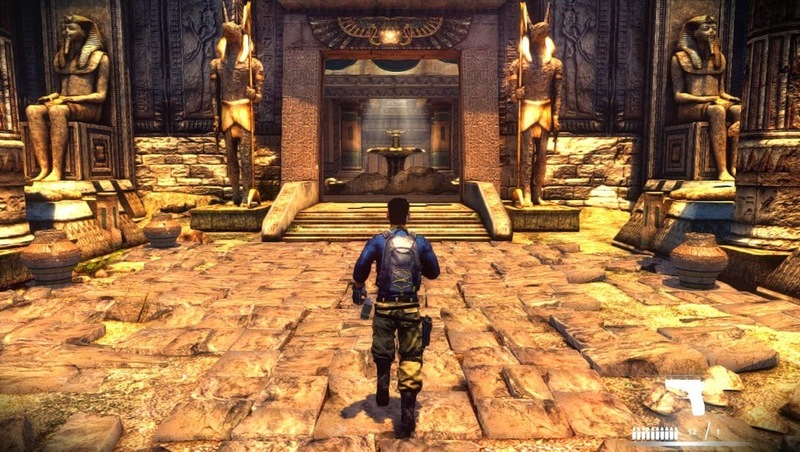 Turns out that Faris and his sister Dania are visiting Morocco to treasure hunt in the temple of Ibn Battuta; little do they know that other forces are looking to infiltrate the same area. The game comes with a decent mix of slightly puzzle-some adventure ala Tomb Raider, some melee fighting and third person shooting. In an attempt to have a little something for everyone, the game does it's best with each segment, although the climbing controls can be aggravating to get used to and the auto-aim system for the gun doesn't always work intelligently. Jumping can be one of the most frustrating actions to execute, as they player has to be able to jump at the last possible second in order to leap to some of the adjacent areas. Surprisingly, the gamer will find an option to enable 3D graphics within the options menu. Sure, it's just standard 3D with absolutely no innovative qualities, but it's available on a $0.99 USD game! If you have a capable system, turning this feature on does help to cover up the awkward graphics that are just slightly better than Playstation 2 quality. While the background music is just regular overused stock, the sound effects are hilariously awful; pellet guns for bullet sounds and glitchy effects that take place when the main character falls are the highlights. The voice acting isn't much better, as it is similarly awkward and just plain bad. It's also worth stating that the subtitles lag way behind or appear too soon in most cutscenes, which is a shame since the developer boasts that 21 languages are available. Well, really what were you expecting for a buck? 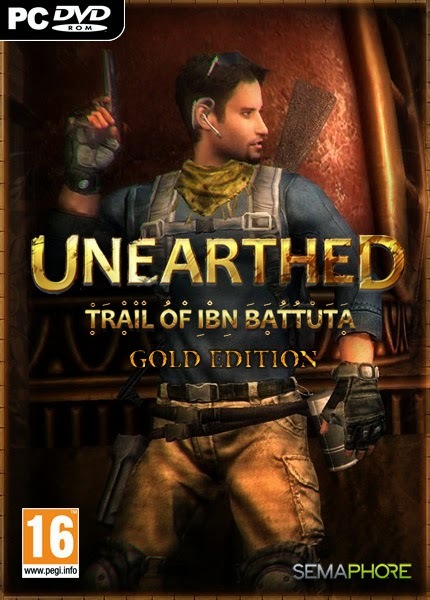 Unearthed - Trial of Ibn Battuta isn't as awful as everyone has been making it out to be. The controls are chunky and rough around the edges, but not impossible. The game is short, cashing in at about an hour and ten minutes. The graphics aren't great, but do they really make games now and days, or are people just being superficial? The voice acting and sound effects are laughable, and there's little to no challenge present in the game. The storyline isn't even thrilling, but for some reason the game is a fairly enjoyable way to waste an hour; there are worse ways to kill time, after all. If you've got a buck and an hour, and you don't know how to spend either, give this title a shot. Hopefully Semaphore are able to iron out the kinks in the next episode.